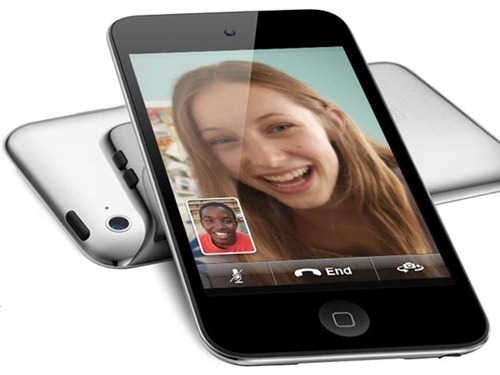 The All New 2010 Apple iPod touch 4G Reviewed ! 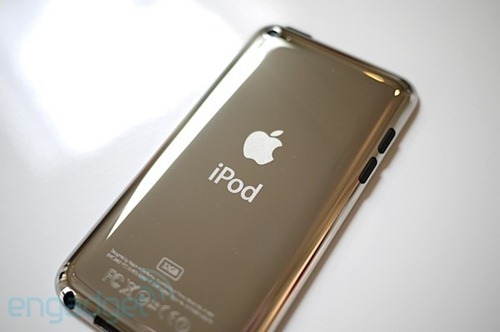 Revealed unto the world recently at Apple’s Music Event (1st September), the new 4th-gen iPod touch has now been released! The folks over at Engadget were the first ones to review it and us here at RP jumped into it and snuck out a few interesting pieces from the review. We thought the iPhone 4 was crazy thin, but the new touch looks like a toothpick by comparison. While we like the iPod touch design overall, there’s nothing present in the new version that makes it significantly more lust-worthy than previous generations. Engadget is right in saying that the new iPod touch is as thin as a toothpick cause it is only 7.2mm deep, that’s the thinnest pocket computer I know of. The overall chassis is the same as the old iPod touches though. The 3.5-inch capacitive touchscreen is called a Retina Display, which means it had equal resolution (960 x 640) and pixel density (326 ppi) as the iPhone 4, but it’s not the same IPS panel that you’re used to on the touch’s big brother. … in our testing we could see noticeable difference in viewing angles, but only at pretty extreme positions. 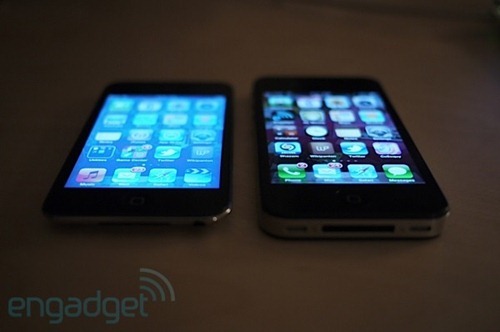 We also felt like the touch’s display was slightly darker than the iPhone 4 screen. In general, we don’t see this as a major detractor for the device, but there’s no question that the iPhone 4 is sporting a qualitatively better display. It may be an "iPhone with no contract" in many regards, but not when it comes to the screen. Yes, as Redmond Pie previously posted: the iPod touch’s Retina Display is not the same as the iPhone 4. The viewing angles are better on the iPhone 4 but only so much that you wouldn’t care. They will feel the same when you anecdotally use them. For taking quick shots (which don’t require tight focus), you’ll be fine, but if you want to grab printer-ready pics, the touch definitely will not be a reasonable stand-in. 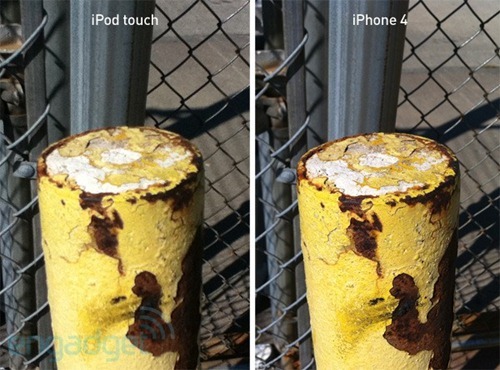 From what we’ve seen, the camera on the iPod touch is simply not up to the mark. It lacks detail and clarity. Colors are also washed out. It takes mediocre still photographs but Engadget was sure to mention that they liked the smooth HD video recording, playback, and FaceTime calling. Good for your Hannah Montana-lovin’ tween, not so much for you! When speaking of general performance, Engadget felt that it was as quick as the iPhone 4 at your regular intense tasks: multi-tasking and playing heavy video games. With the addition of HD video shooting, the new Retina Display, and a faster A4 processor, the touch has just gone from "nice to have" to nearly irresistible. Redmond Pie agrees. And agrees very much so. I personally intend to get one myself so I can have the pleasure of using an iPhone 4 without the hefty factory-unlocked price tag! You can read Engadget’s full review here.